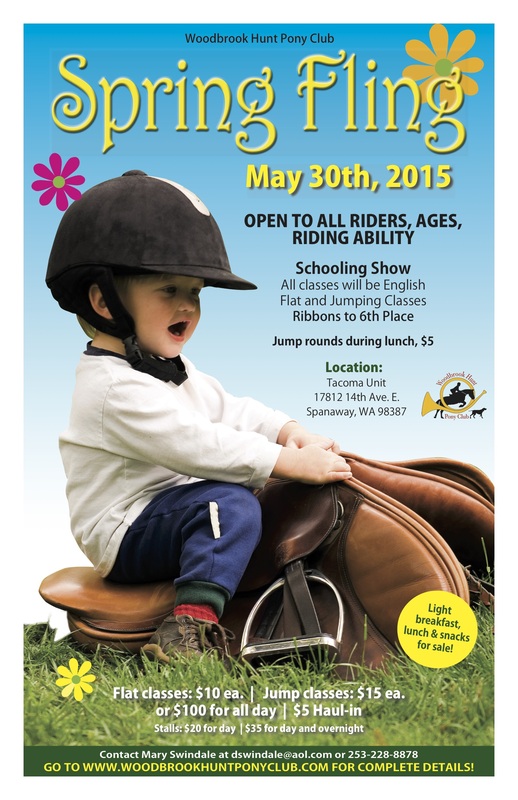 Our Spring Fling is a schooling show for all ages and riding abilities. Entries can be downloaded and mailed in, scroll to the bottom and will also be available the day of the show. ENGLISH EQUITATION - Judged on riders position and riding ability. ENGLISH PLEASURE - Judged on horses manners, way of going, English gaits. ADVANCED ENGLISH PLEASURE - Judge can ask any test of horse and rider. HUNTER HACK OPEN - Same criteria as English Pleasure for the flat section of the class. Class will also do two jumps not to exceed 2' in height. Horse will be judged on way of going over the fences. (3) refusals at jumps will result in elimination from class.